CRT (cathode-ray tube) television sets have gone down in popularity with the introduction of large screen, slim and flat LEDs and LCDs. However, there are many consumers who still have their CRT sets and are satisfied with them. But many problems often relate to the picture quality, picture color and clarity and sound quality of these CRTs. Sometimes the cost of repairing such problems in the CRT TV exceeds the cost of replacing it with a new TV. This is not a very common problem. The most prominent reason is cathode ray tube failure. The minor crackling noise is due to high voltage arcing. The possible reason behind the burning smell is caused by insulation burn. In such situation, immediately unplug the TV from the power outlet. Call a professional TV repair person and get it corrected. No sound or less sound is a commonly heard problem with CRT TVs. The most possible reason is faulty speakers. Other reasons can be damaged audio amplifier, a low supply voltage to the amplifier or a faulty audio IC. There can be other reasons as well like some faulty internal wiring. If you’re facing problems with TV not responding to remote inputs, first replace the batteries! If the TV still isn’t responding, there’s a problem with the remote. In this case, it is better to replace the remote instead of repairing it. Below are some CRT TV compatible remotes that we recommend. 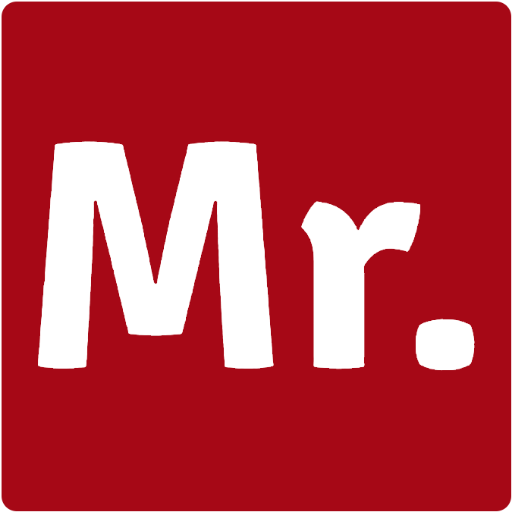 If your CRT TV is troubling you with the picture problems, sound problem or any other issue, connect with Mr. Right. READ ALSO: 4 basic diagnosis for your television before calling a technician! How to: Wall mounting a flat screen TV? 4 basic diagnosis for your television before calling a technician! I have an LG CRT TV, It is perfect and it has a perfect picture quality. Its sound is perfect but some times we see some fluctuation in sound. It becomes high and some times it becomes too low to hear. Please provide us with some solution. If possible you can arrange a doorstep visit by your technician. Iv’e got a 21 inch Sony Trinitron from 1999. I’m nearly certain its not a faulty tube because the picture is pretty good for a tv its age, but the problem is i could have the tv on for maybe 6 hours and all of a sudden the screen goes black and but the sound stays on. I turn it off and on again maybe 3 or 4 times and the picture comes back again same as before and it may do the same thing again after so many hours. What would the problem be.? Best service center in hyderabad. I have a Toshiba 27A40. I have had the horizontal line issue mentioned in the article. However, after about 2 weeks, the issue went away and the picture is back (with no action taken). Can you suggest what might be causing this “temporary” issue? I am trying to decide whether to replace the TV or not. My preference would be to keep it, but only if it has a reasonable long life yet. Thank you. My 21 inch crt samsung tv of a model of 2005 with woofers and twin tweezers were running fine until few months when it started flickering at the rate of 1 flicker per 10 sec.As the tv ran continuously the rate dropped.The pic quality was same as a new one.But today when I started it showed red screen and then when I restarted it was not displaying anything,the display felt dead but the audio was fine.What can be done?I want this crt tv to run again gorgeously as it is a gem of tv. My tv is 14″ toshin. Screen looks blue, when i switch on the tv, screen looks blear image for some seconds but after some seconds it becomes full blue screen, but sound system, channel changing, volume up-down are ok.What is the problem? this is probably some of the worst advice on half of the CRT issues. older CRT television sets rarely ever suffer from yoke coil burn out, vertical line is pretty rare too, horizontal line is almost always a failed capacitor that may have taken out a resistor or burned up the IC controlling the vertical sweep, this is semi common. magnetism is either due to close magnets mentioned above or a built in degauss coil failure, a bad solder joint is first suspect, further diagnosis is needed past that, resistor, capacitor or some other failure. the picture with all the red all over it would be an internal issue with the video feed from the tuning or input circuit to the primary input for the crt inside the tv, poor connections result in snow in the background or hum bars from interference. modern CRT’s were built with poorly constructed flybacks and CRT’s, flyback issue results in arcing sound by the flyback, CRT’s that didn’t have a good vacuum pulled on them in construction fail by going dark and streaking colors sometimes. arcing in the neck of the tube is rare unless a component fails that brings the voltage to the crt neck up. sometimes the tv will loose one color entirely, this is a shorted electron gun or its pathway on the board. another common fault is the TV just wont come on anymore, this is a failure in the power supply, old power supplies used diodes to flip the alternating current into pulses of direct current which was smoothed out by a large capacitor (probably the largest one in the set) some had IC’s to assist, modern units may have had switching power units. in both cases the capacitor probably failed and took out the diodes and possibly the IC if present. another thing that can cause a tv to not power on or power itself off is a bad solder joint or protection circuitry killing it due to excessive HV. this is of course after all usual methods have been tried, bad cord, improper user adjustments, lose connections etc. early 2000’s Chinese manufacturers made very poor capacitors that failed rapidly, within months or a year or so, some of these survived into the late 2000’s they are all just about gone now. anything in the 60s or before should never be plugged in, inspected for wax paper caps, and “bumblebees” wax caps in a hard round shell, ones not round but tear drop shaped on the side running lengthwise are usually ok, in these sets you should also replace all the other capacitors, you can sometimes get away with keeping the large filter in perfect scenarios, however this is a gamble, these sets will almost surely be complete tube sets, meaning the chassis is full of small tubes, this kind of restoration should be left to a professional. Hi, I have a 21″ AIWA make CRT TV bought in 1999. It has served me well so far. Since 6 months, I find about 12 white horizontal lines on top portion of the screen.How can I get rid of these lines? Hello, Mr. Right, I have a Toshiba combination tv/dvd player. It was made in 2005 and it served me beautifully until 2012, when the electricity was disconnected at that location. After moving some six months later, it did not power on again. I have kept it because I may be able to get more use out of it. Also, I have three other tvs that may have useful parts that the Toshiba can use. Thanks in advance. I have 21″ LG FLATRON TV in which screen size showing only in middle means screen size decreased. I have a 29” Panasonic flat screen crt tv, high sound occurs when I turn it on . There is no picture seen on screen. What is the problem ? Where is the Vertical control ? I have an14 ” AUCMA color TV which does not turn on.What would be the problem? the problem, it will be better to call a professional TV repair person. Thanks for sharing the best information on this topic. You made a good site and giving us such a great and useful stuff on this topic. I am impressed with your site and also with your articles. I have problem in chasis 863528B It occur vertical line. my problem on my TV is …when i enter the an arrow that is …it was goes down after it happens …no more cgnals and the remote control can’t use ….it wasn’t use anymore……..what should i do??? please……help me on this….. The problem of my 21 inches samsung colour tv is its automatically getting OFF after sometime. when I switched ON again its getting ON for a few minutes and automatically again getting OFF. will you please rectify the fault of my TV. Bad solder joint, or safety power down due to arcing or excessive high voltage, you would need to inspect it all, probably an experienced tech would be needed. I have onidasilver slim set. There is appearing a bright single horizontal line and it vanishes itself after sum time but now it is frequently appearing. Sumtimes it lasts for an hour. What should I do? Hi guys I have a CRT TV with failed board I want to buy a new board. So please help me how to choose a PCB for my TV . And the small and large tubes of a TV make any difference in motherboards ? I have an HP p1230 monitor that I game on. When I play top-down 2D scrollers (Zelda like games) the screen distorts at the boarders. Vertically there is stretching that is almost unnoticeable at the bottom, then gets worse as it approaches the top, where the last few inches the stretching goes crazy (seems like non-linear behavior). Horizontally there is a slight compression at the edges that gradually normalizes toward the center of the screen. I tried tweaking all convergence and linearity settings, but they had little to no effect. ARMCO 21 inch tv doesn’t switch with standby, farthermost it heats the audio area and blocks power from the supply and the 110 vlts to the h out reduses to less than 70 vlts but the h out is ok. plz help! You provided very helpful most common faults in CRT.please just provide instant solution below every faults. I have Samsung Plano 21”. Having red green blue shadow on corners of screen…plz help me out…i can do it my self…I am Industrial Electronic Technician. I have a Toshiba flatron tv. It’s pictures goes off suddenly but sound comes. After some time, pictures reappear again. Can anyone suggest the problem and solutions. I have Hitachi TV (CRT) which I bought 16 years ago and was working fine until few months ago but now when tv switched on, it takes 5-6 minutes to show the picture, however, sound comes immediately. No any other problem. Please help me to come out from this problem. I studied electronic and I think I solve this problem on my own if suggested any solution. Thanks! Hi i have samusng slimfit crt tv 54cm and problem is like your second picture Bowed picture or images not lined up , only my is colors is clear. I open tv but there is no crusty, discolored parts. Can you hellp me what is problem where to look? Thank you. Hello I have Sony Bravia 21″. It is showing the colors but shades have changed. Everything else is ok. How to resolve this ? Hi I own a 25″ Dynora CRT TV, which suddenly goes completely blank, no picture and no sound, and comes back to normal after some time, which is again uncertain. My mother who is 76 mostly watches and keeps getting annoyed often. At times she keep tapping (like a slap) on all the sides of the TV, when suddenly the picture and sound come back to normal again. Can anyone suggest a remedy please??? Onida TV Model CO21STP1200B Set dead just power cord is ok no stand by light TV not able to on what are the causes ? Can we switch on colour TV without picture tube, to test the SMPS powersupply 110Vdc and 18Vdc. If possible, please tell me the procedure. Have a CRT tv connect with tatasky dth. All of sudden a week before, brightness rapidly changed down that could not see the images and just look dark. To add, the digital picture quality changed to cable kind quality. When asked ts, say problem with tv. how to rectify this brightness prob? why damage a resistance of color TV? when i connect a resistance it would be burn and damaged..
My TV display blue and diagonal line how can I fix this? my television philips 14 inch is given only one colour what problems soon reply me thanks. Can anyone help me in solving my TV Problem. Problem is whenever i switch on the tv it opens with a channel and it cant be changed. And if i make my remote to change means the TV gets switched off and at once it Switch on automatically. Whatever buttons are pressed the same issue is happened. kindly help me with a reply. Hello, my CRT tv is displayign gray flickering pixels. The vhs player that controls the tv shows the correct stations. All things are plugged in. Please advise. If there is a vertical line, the horizontal yoke connection will have gone bad (dry solder, connector pulled out), H coupling capacitor gone bad or loose contact. Very rarely Horizontal yoke goes bad. I want to purchase of 40 inch latest TV, which company TV is good cheap and best. CRT displays one horizontal line in the center when turned-on. but after 30-50 minute picture show naturally. whats the problem . please solve and give me answer. Did I exchange the TV before,,,? I have one Onida color TV . One day TV ON condition thunder storm shock is happens, I opened that circuit board and saw, in that some components and tracks are all blown up. So I decided to plan change with new PCB which is suitable for that. Wires and all connected to CRT tube using remote switched ON the TV set but small switching sound is coming form tube but tube is blank condition only. May I know what is the reason for this. Please help me to resolve this issue. I had a TV from 1983 with a CRT failure, i.e. the crackling when turned on. I was going to keep the TV thinking it was just a quirk of the TV. But after reading this article I’ll take it to a recycling center. Thank you for writing this article, I very much appreciate this helpful information. I’m glad my house did not burn down.